Maurizio Sarris team crashed to their heaviest loss since 1991 as the Premier League champions ran riot at the Etihad Stadium on Sunday. 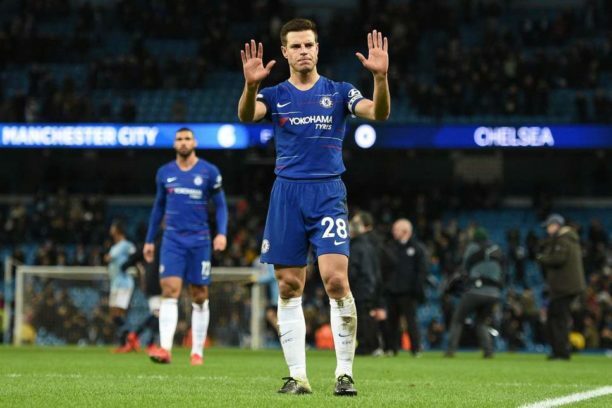 Its difficult to find the words to describe my feeling after the game, defender Azpilicueta, who was given a torrid time by two-goal City winger Raheem Sterling, told the clubs website. It is one of the worst nights in my career. Its very frustrating, its very disappointing. When you lose 6-0 everyone has to accept they didnt play well. The only thing I can say to the fans is sorry, because its not acceptable, and I feel sorry for all of them. It was Chelseas third defeat in four Premier League games, coming after a 2-0 loss at Arsenal and a 4-0 thrashing by Bournemouth. The only relief during that period was a 5-0 victory over bottom side Huddersfield. Azpilicueta, who conceded the penalty for Agueros third goal, said: We have lost big games in the first minutes and we are conceding a lot of goals. We cannot accept that. We knew we had one of the best teams in front of us and we knew it would be tough. When we won against them at Stamford Bridge it was because we played a very good game all together. This time it was not the case. To lose in this way is very disappointing, added the 29-year-old Spanish international.